I ran a transcript of a talk by Georgia Tech faculty members Robert Todd and Chris Langston. 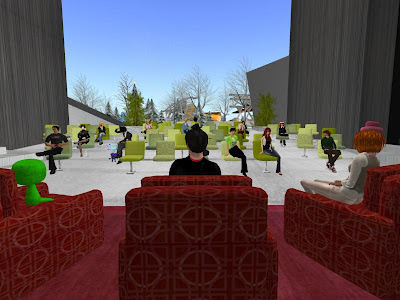 VWER moderator Grizzla Pixelmaid moderated. The information is very useful and provides a good case for using virtual worlds for Science, Technology, Engineering, and Mathematics (STEM) courses. Special thanks to Grizzla for pulling this event together on Feb. 2. Readers can get the full transcript here.